his 37-year career Praveen Kohli hadn't got the kind of hike that he received four years after he retired as a general manager with Haryana Tourism Corporation. On November 1 this year, Kohli's pension rose by nearly 1200%-from Rs 2,372 to Rs 30,592 per month. The windfall was courtesy a Supreme Court order of October 2016 that directed the Employees' Provident Fund Organisation (EPFO) to revise the pension of 12 petitioners under the employee pension scheme (EPS). The pension scheme, which is part of EPF, has over 5 crore members. Every employee in the organised sector contributes 12% of basic salary and dearness allowance to EPF. The employer makes a matching contribution. Of the employer's contribution, 8.33% goes to the EPS. When people withdraw their EPF after a job switch or during unemployment, the EPS is not given out. It's payable only after superannuation. It took a long struggle in which he cited an important amendment to EPS. In March 1996, the EPS Act was amended to allow members to raise pension contribution to 8.33% of full salary (basic + DA) irrespective of what the salary is. This raised the pension, multiple times. However, for a decade hardly anybody opted for higher contribution. In 2005, following media reports, including TOI, several private EPF fund trustees and employees approached EPFO with the demand to remove ceiling on their EPS contribution and raise it to their total salary. EPFO rejected the demand claiming that response should have come within six months of the 1996 amendment. It took another year for the EPFO to implement the court order following a strong fight put up by petitioners like Kohli. Finally from November 2017, Kohli started getting a higher pension. To raise his monthly pension from Rs 2,372 to Rs 30,592 Kohli had to pay Rs 15.37 lakh as the difference between EPS contribution he had made while in service and the contribution he would have made if he was allowed to raise it to his full salary. But he also got Rs 13.23 lakh as arrears for the higher pension that he was entitled to for four years spent in retirement before November 2017. So, by paying Rs 2.14 lakh extra, Kohli was able to raise his lifelong pension by nearly 13 times. In case he passes away before his wife, she will get 50% of Kohli's last drawn pension till she is alive. Are all 5 crore members of EPFO now eligible for higher pension if they opt to raise their EPS contribution? Yes, all those who joined EPFO before September 1, 2014 - the date on which the EPS imposed the Rs 15,000 salary cap - can contribute on their full salary to EPS. They can submit applications to their company and the EPFO and get up to half of their last average monthly salary as pension. Those who have joined EPFO after September 1, 2014 and have a salary above Rs 15,000 are not eligible for pension while those starting with salaries lower than 15,000 can contribute to EPS but the cap of Rs 15,000 will kick in when their salary rises. EPFO is also discriminating against employees who are members of privately managed EPF trusts (nearly 80 lakh) officially called Exempt Establishments and those who directly contribute to the government-run trust (4.25 crore) called Un-exempt Trusts. Says VP Joy, central provident fund commissioner: "EPS will not be able to give pension to those members whose contributions on higher salary have not been received by EPFO." 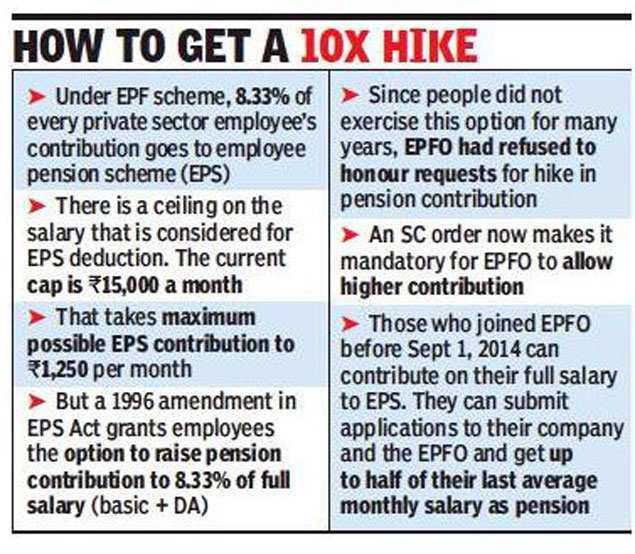 The EPFO is denying employees of exempt companies higher pension on the grounds that only 8.33% of up to Rs 15,000 and not their entire PF contribution goes to EPS. However, two of the 12 petitioners who went to court were from the exempt category so a precedent has been set. 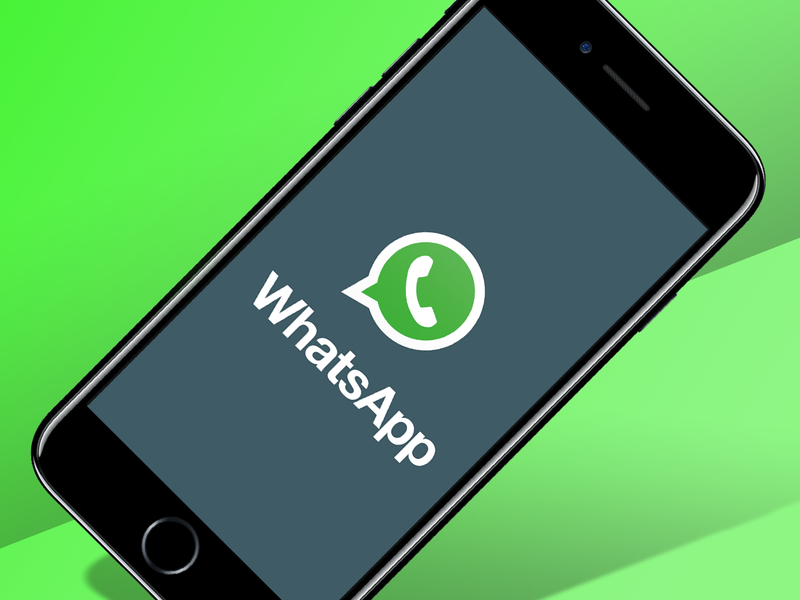 It's likely that members of private trusts or the trusts themselves will go to the court to settle the issue. The EPFO's board of trustees is also likely to discuss the move to bar exempt EPF trusts.